Knight, a forward from Idaho, helped break Canadian hearts during last winter's Olympics. Now she's suited up for Montreal's women's hockey team, whose newly named captain is none other than her former adversary, Marie-Philip Poulin. 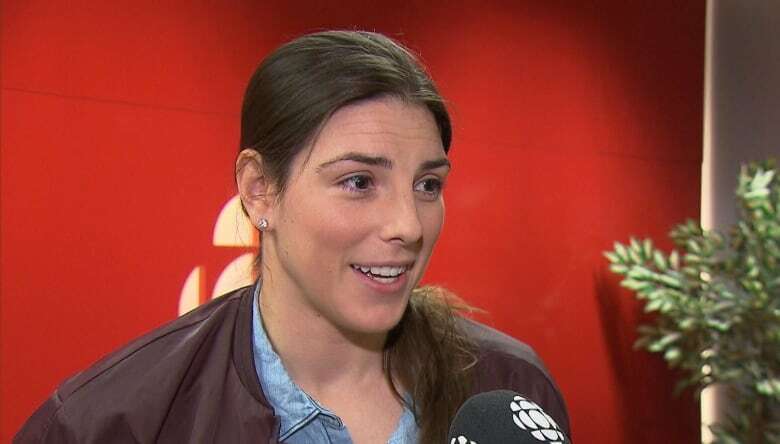 Hilary Knight was a key reason the American women's hockey team broke up Canada's dynastic run of four straight gold medals at the Olympics earlier this year. But now, she's on our side — well, if you're a fan of the Les Canadiennes, that is. After helping her team reach the top of the podium for the first time since the American win in 1998, the year women's hockey was added to the Olympic program, the star forward joined Les Canadiennes for the remainder of the Canadian Women's Hockey League schedule in March. 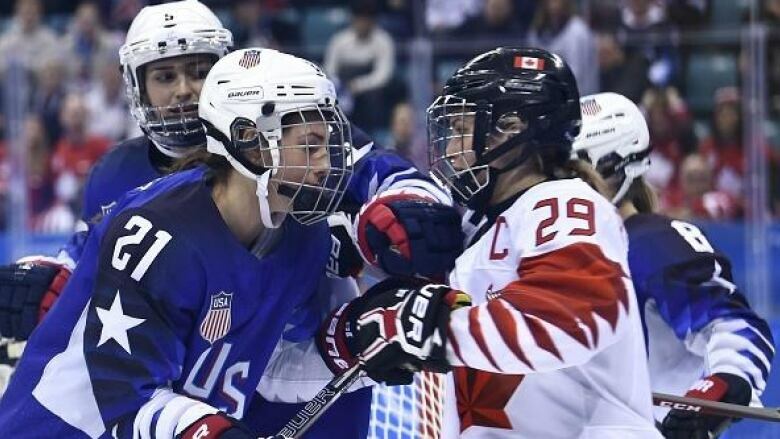 While the Canadian and U.S. hockey teams are said to be bitter rivals, Knight said the players have nothing but respect for each other. "When that game is over, and the puck is in the back of someone's net, it's over. When you come to the rink wearing the same jersey, representing that team, you've got to put all that to the side and try to problem solve, work your way out of the issues you have as new teammates," she told CBC Montreal's Jessica Rusnak. This season, Knight is back in Montreal and says she is ready to sport the same colours as Marie-Philip Poulin, a Canadian hockey hero in her own right. Poulin, named team captain on Friday, has been a member of Les Canadiennes since 2015 but did not play last year because she was training with the Canadian national team in Calgary in the lead-up to the Olympics. She decided to take the rest of the 2017-2018 season off after Pyeongchang. But Poulin is back this year, making it the first time in their careers that she and Knight will be teammates. Knight said she prefers it when they are on the same side. "Marie-Philip Poulin is one of the best, and my counterpart up here in Canada, and she's a phenomenal woman both on and off the ice." Knight and Poulin have been described as the Sidney Crosby and Alexander Ovechkin of women's hockey — a comparison Knight said she isn't crazy about, though she recognizes those stars are both phenomenal players. 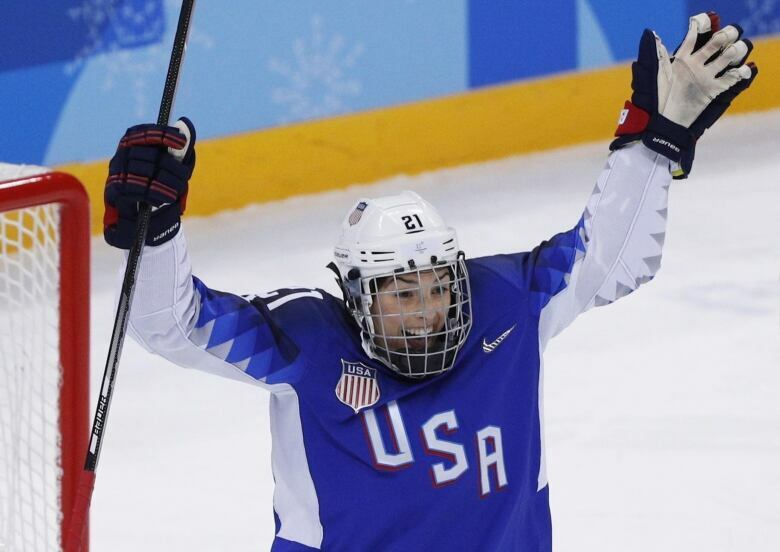 She hopes such comparisons will fade away, once she and her peers succeed in proving to the fans that they've built the sport up to the same standard as men's hockey. Knight had previously played in the CWHL with the Boston Blades, winning the Clarkson Cup with that team in 2013. She also played in the National Women's Hockey League, which is U.S.-based. 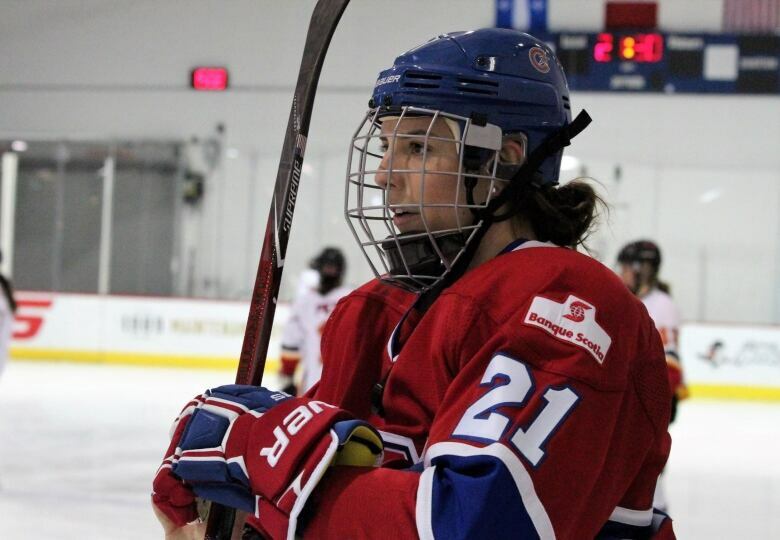 But she made the decision to join Les Canadiennes because she wanted to play with some of the best, as part of an organization she also believes is one of the best. "There are a handful of things that go into making a successful program, but they seem to have the recipe," she said. General manager Meg Hewings describes her team as "the dream team" heading into the season. Les Canadiennes are one of the early favourites to win the cup. Led by Poulin and Knight, the team is stacked with star power, including six Olympians and many all-star CWHL players. "Montreal fans have something really exciting to look forward to when it comes to women's hockey. It's never been seen before," Hewings said. Les Canadiennes open their season this weekend with two games against the Calgary Inferno on Saturday, Oct. 13 at 6:30 p.m. and Sunday, Oct. 14, at 1 p.m. at Place Bell in Laval.